The King Of Iron Fist delivers a Knockout Punch ! The Singapore Toy, Games & Comic Convention (STGCC) cater to not only fans of comics but to gamers as well, renowned game developer/publisher Namco Bandai gave us gamers a sneak peek into the latest iteration of their legendary Tekken franchise; Tekken Tag Tournament 2. I was fortunate enough to be able to sit down and have a few rounds with the latest build of this game. For the uninitiated the Tekken Tag Tournament series is a spin-off from the main Tekken franchise, unlike the main Tekken games of 1 on 1 combat; Tekken Tag takes a page out of Capcom’s VS series and sees players battling it out in teams of 2. In addition to the traditional 4 button layout of Tekken an additional “Tag” button allows the player to switch characters on-the-fly during the match allowing combos to be extended and the resting character to recover health. The meat of the game is still the gameplay, Tekken Tag Tournament 2 still plays very much like Tekken 6 and most basic strategies and combos for the individual characters would translate well in this game. But another layer of strategy has been added into this game because players would only need to deplete the health bar of a single character to win the round. A well trained player in Tekken can already juggle an enemy for an insane amount of time and in TTT2 combos can be further extended using the “Tag Assault” system which consist of using the “Bound” system in Tekken 6 and pressing the “Tag” button so your team member can come in and continue the combo. It might be very intimidating for newcomers but once you get a good understanding of your basic combos, it won’t take long before you start doing “tag” combos with ease. 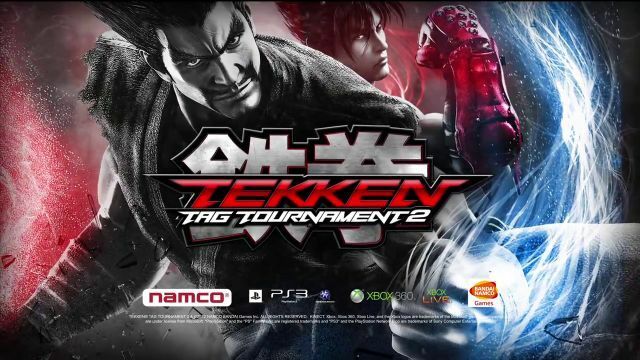 Tekken Tag Tournament 2 is developed and will be published by Namco Bandai Games with a slated release date on both the PS3 and the Xbox 360 this September 13 2012.